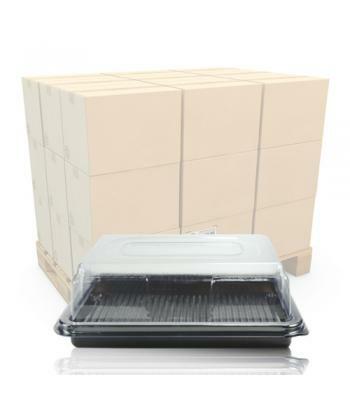 Our range of disposable plastic catering packaging is manufactured in accordance with strict quality control regulations, by highly experienced packaging specialists. 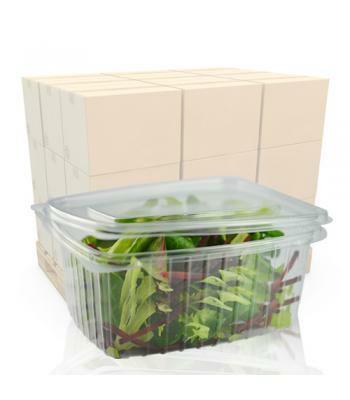 Most of the catering containers in this range are made from polyvinyl chloride (PVC), which is 100% recyclable. 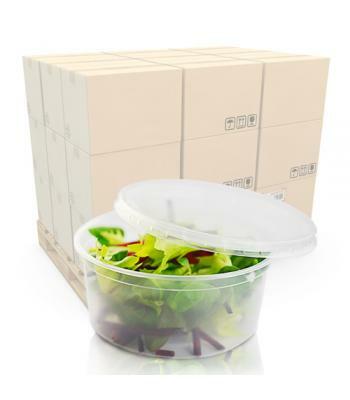 They are perfect for packaging takeaway, convenience and event/function foods, such as sandwiches, salads, fruit, vegetables, rice and pasta dishes, mini cakes and pastries, cold meats and much more. Our 8oz (240ml) and 12oz (360ml) clear plastic deli pots come with press on lids and they are microwaveable, making it easy to heat foods, as well as being re-usable. The other two microwaveable products in this range are our 12oz oval and round bowls, consisting of quality black plastic base with robust clear press on lid. These containers are suitable for heating takeaway foods such as nachos, baked potatoes, pasta, stews and more. 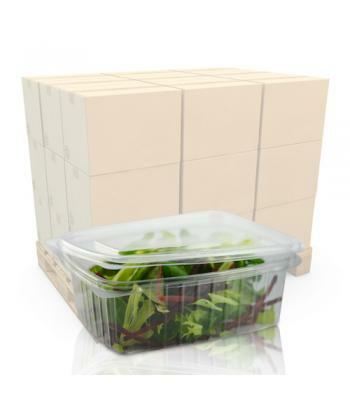 Ranging from 250cc (cubic centimetres), up to 1000cc, our complete range of clear plastic deli boxes are both airtight and leak resistant, due to their hinged press down lids. Again, this versatile range of containers can be used for a variety of takeaway foods. 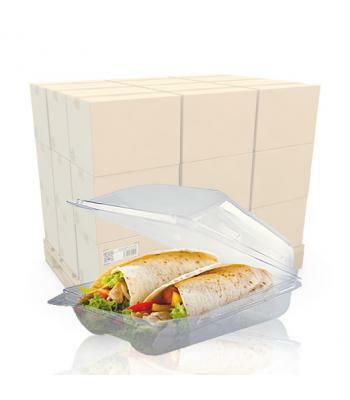 Likewise, the tortilla wrap and baguette containers, with hinged lids, will protect sandwiches and wraps from contamination during display and transit. Completing the range are our platters and novelty food pots. Our ridged base black plastic food platters with clear protective lids will ensure that food stays in place and remains fresh for consumption. Our animal shaped plastic food pots, also with protective press on lids, are ideal for children's snacks and meals too.